ClearEdge3D just declared the availability of EdgeWise™ 5.0. This newest 3d modeling software comes with various advanced features and improvements useful for producing the best field-to-finish modeling solution. 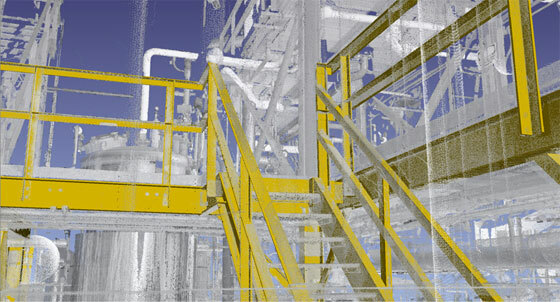 By applying sophisticated feature extraction (AFE) and object recognition methods, the software can computerize the process for 3D modeling of as-built structural members, MEP, process plants and buildings through point clouds. The software can streamline the process for producing a complete BIM or facility model out of laser scan data by significantly minimizing the required man-hours. EdgeWise 5.0 is compatible with Revit, AutoCAD and PDMS. EdgeWise 5.0 can bring huge benefits for as-built steel and concrete modeling with its improved technique for auto-extraction of structural members. Innovative technology can make the extraction of gridded steel and concrete structure automatic. With latest pipe extraction algorithms, false positives can be reduced virtually. Put EdgeWise intelligent models directly into Plant 3D through new Plant 3D plug-in. Better integration with Revit for importing of out-of-tolerance and non-standard as-built elbows. Send a photo-like view of the point cloud with latest realistic visualization engine alias ClearView. The new algorithms together with automated modeling algorithms can significantly develop the automated pipe extraction process. Now the users will be able to automatically extract gridded structure out of a point cloud and it will save huge time while modeling as-built steel and concrete.